The D-PG 140.4 offers great performance, durability and flexibility. 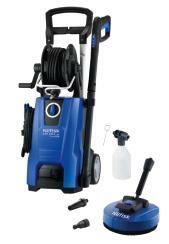 It is perfect for anyone who needs a good ergonomic pressure washer with high performance. PowerGrip control for easy adjustment of pressure to the cleaning task and for reduced energy and water consumption.